I thought that there was no possible way that this could be real. I really thought that this must have come from some sort of parody website. The frustration being experienced by that parent is quite understandable. When I first looked at that math question, I could almost feel myself getting dumber while I read it. 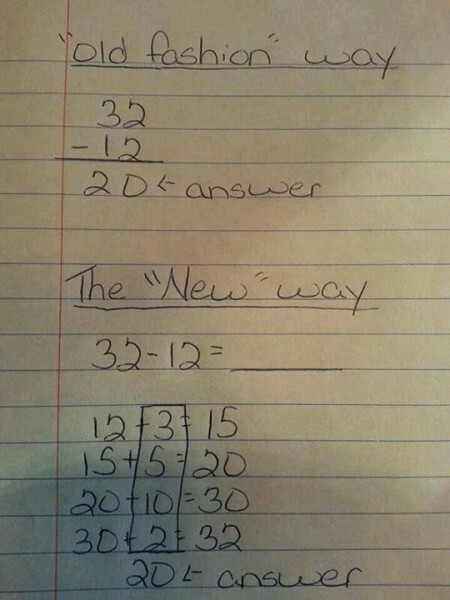 Is this kind of “math” really preparing our kids for the real world? Why make things so convoluted? 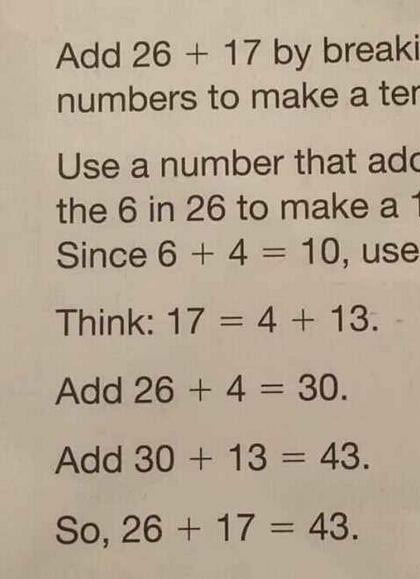 Are they actually trying to make our kids hate math more than they already do? 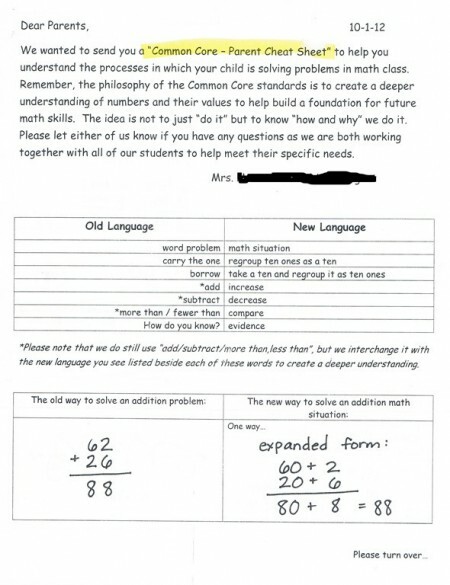 And of course Common Core is not just messing with math. Ruby sat on the bed she shared with her husband holding a hairclip. There was something mysterious and powerful about the cheaply manufactured neon clip that she was fondling suspiciously. She didn’t recognize the hairclip. It was too big to be their daughter’s, and Ruby was sure that it wasn’t hers. She hadn’t had friends over in weeks, but here was this hairclip, little and green with a few long black hair strands caught in it. Ruby ran her fingers through her own blonde hair. She had just been vacuuming when she noticed this small, bright green object under the bed. Now their life would never be the same. She would wait here until Mike returned home. Why is Ruby so affected by the hairclip? How has the hairclip affected Ruby’s relationship? From where did the hairclip most likely come? 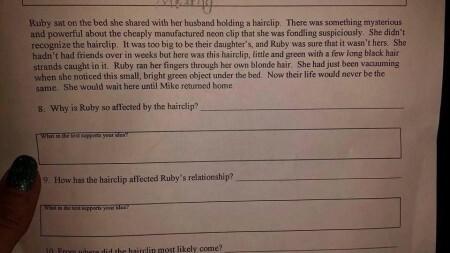 Why in the world are 4th grade students being taught lessons about husbands cheating on their wives? 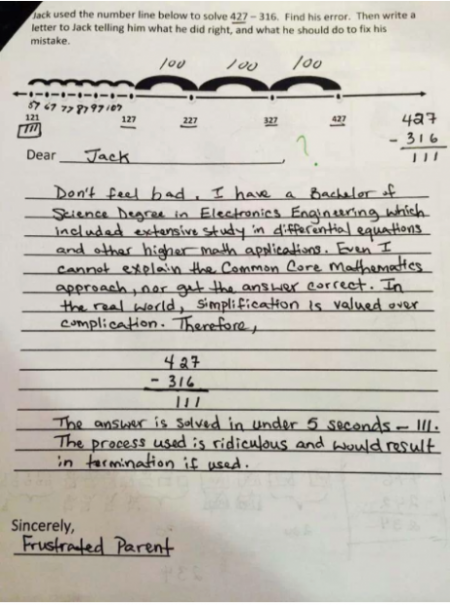 Unfortunately, this kind of inappropriate material can be found throughout Common Core-based textbooks all over the country. 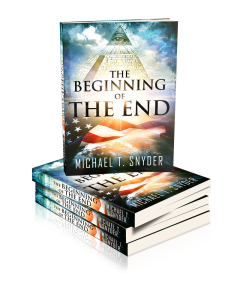 We live at a time when Americans have already become incredibly dumbed down. Do we really want to sink even lower? What will our country look like if this insanity is allowed to continue?